Prescription opioids can be used to treat moderate-to-severe pain and are often prescribed following surgery or injury, or for health conditions such as cancer. Opioids carry serious risk of addiction, abuse, and overdose, in addition to a number of side effects, even when taken as directed. According to the Centers for Disease Control, deaths from prescription opioids—drugs like oxycodone, hydrocodone, and methadone—have more than quadrupled since 1999. For that reason, a number of health organizations are seriously looking at alternative ways to manage pain. In the past year, the American Massage Therapy Association (AMTA) has been actively engaged with several organizations and agencies regarding massage therapy for pain and specifically as an alternative to opioids. AMTA has worked with the Academy of Integrative Pain Management to foster ongoing dialog on integration of massage therapy into approaches to pain, instead of using opioids. Their March/April issue of The Pain Practitioner includes an article by AMTA President Dolly Wallace on the benefits of massage therapy for people with arthritis. The American College of Physicians has issued a new guideline recommending massage therapy for low-back pain. AMTA worked directly with the West Virginia Attorney General for a program to reduce use of opioids for pain. The state is very positive about the incorporation of massage therapy in a list of approaches to pain that can help stop the rampant use of opioids there – the highest in the country. The state public education program includes a recommendation of massage therapy as a first-line approach vs. opioids. 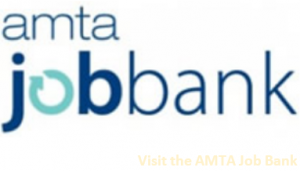 As a result, AMTA has been actively discussing a similar approach with legislators in an increasing number of states. We also connected the state officials in West Virginia with researchers in Kentucky working on this same subject. We have had an ongoing relationship with researchers at the University of Kentucky for educational roundtables in West Virginia and Kentucky. They recently published some of their results, showing the value and efficacy of massage as a substitute for opioids. Combining those results with the publication of the results of the Massage Therapy Foundation and Samueli research meta-analysis funded by AMTA, will help continue conversations on this important topic. Consumer Reports covers these new guidelines and discusses massage therapy as an approach to low back pain. NEW! 37 US Attorneys General call for Inclusion of Massage in Insurance Coverage. See the coverage in ABC News, and read the letter from the attorneys general.